We cruised to Vero Beach and all of us were able to get a mooring ball, the sailboats tied together and the trawlers tied together. We went ashore long enough to check in and pay, and then back to the boats for dinner. 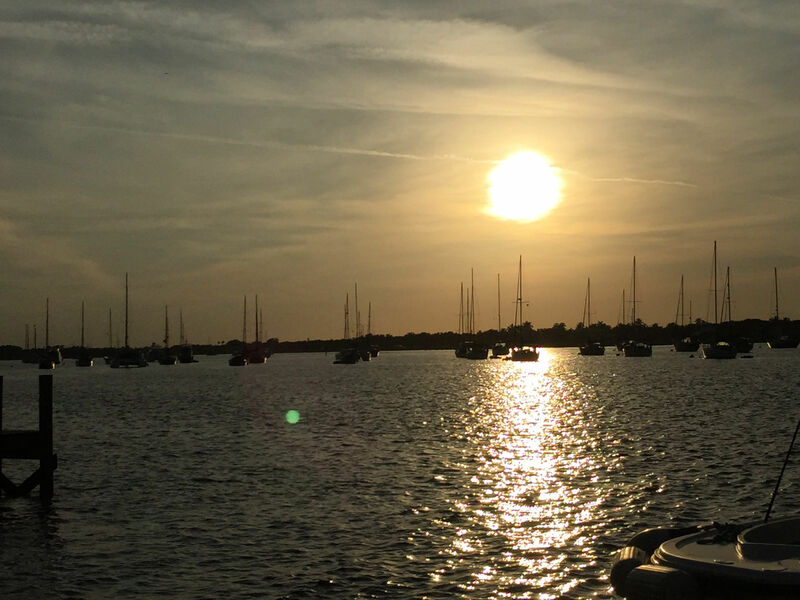 We really like Vero and it has appeal to the general cruiser community with the bus system, close proximity to provisioning, restaurants you can walk or dinghy to, and a 20 minute walk to the beach. It is known in the cruising community as “Velcro Beach” because people get comfortable there and don’t want to leave. We opted to stay only one night and move on to spend more time in Stuart. It was a warm night and we sat out in the cockpit and chilled after dinner. We also got destroyed by mosquitoes and no-see-ums, which really sucked the days after! People often ask, “what the hell do you do all day when you stay for days at a time?” Usually, we go ashore and explore, provision, or do boat work. Today I had to clean out the bilge as it was starting to smell rank! One of the only things I don’t like about the typical Island Packet sailboat, is that the anchor locker drains to the bilge. We anchor in all kinds of mud and sand as we move south, and although we have an anchor wash down pump, and use it religiously, ultimately some muddy water with all of the living creatures gets into the bilge. It doesn’t take long to start to decay and stink the place up. 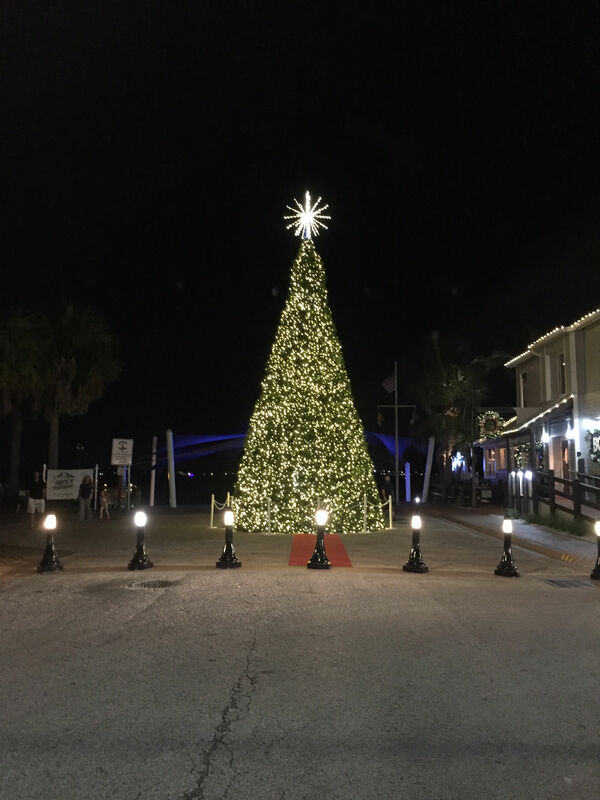 Here is the Christmas tree in downtown Stuart…it sure doesn’t seem like Christmas yet, in spite of all of the decorations! 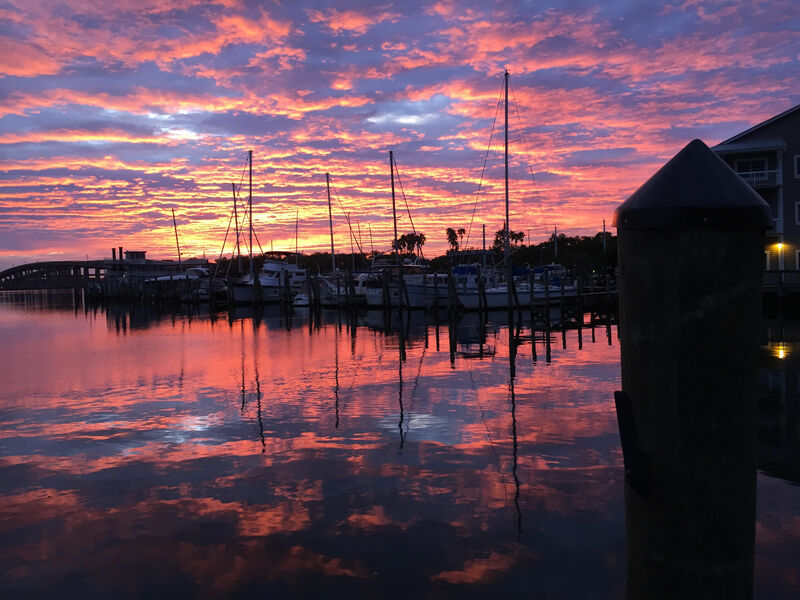 This entry was posted in Florida, ICW - Intracoastal Waterway on November 27, 2018 by bwehmer.